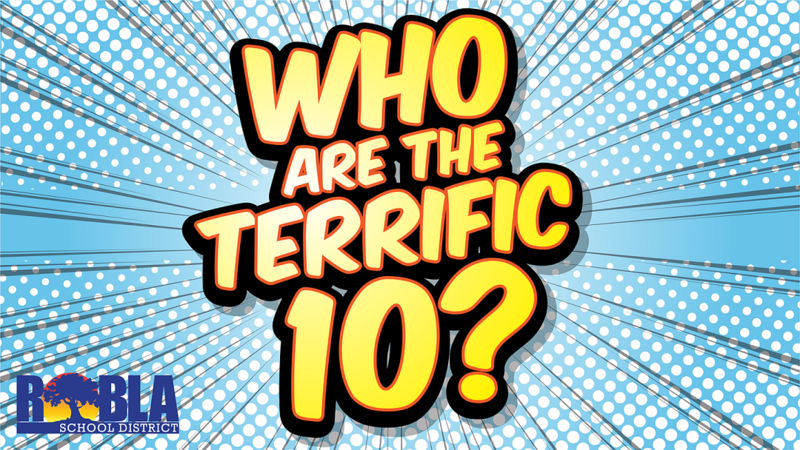 Who are the Terrific Ten? 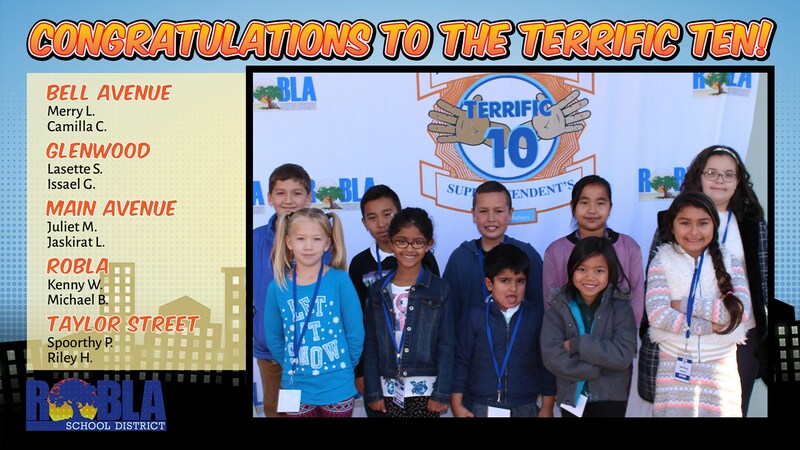 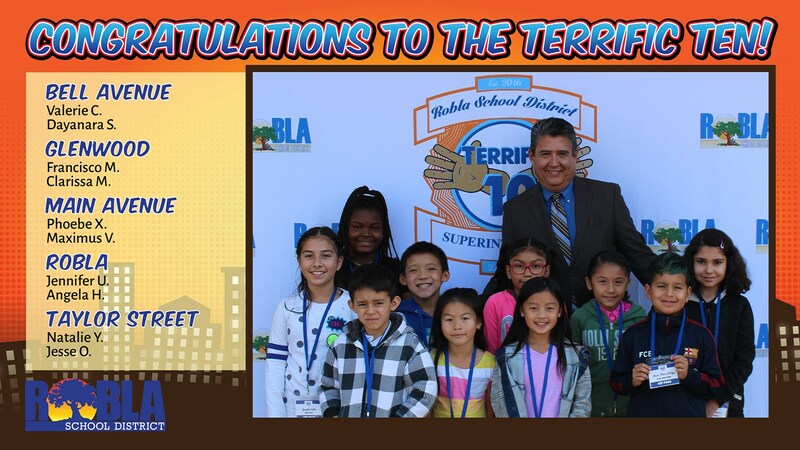 As part of a Positive Behavior Intervention & Support (PBIS) initiative throughout the district, Superintendent Ruben Reyes has created a reward called the Terrific Ten Superintendent's Luncheon. 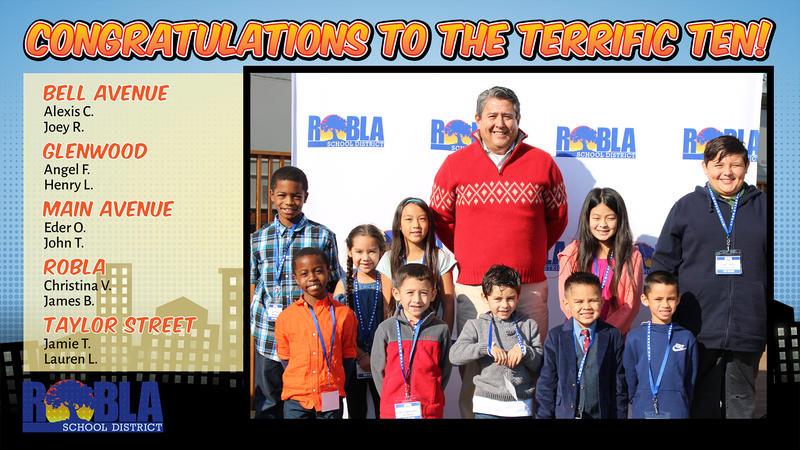 Every month, two students from each school are selected based on their positive behavior and have a catered lunch with the Superintendent in his office. 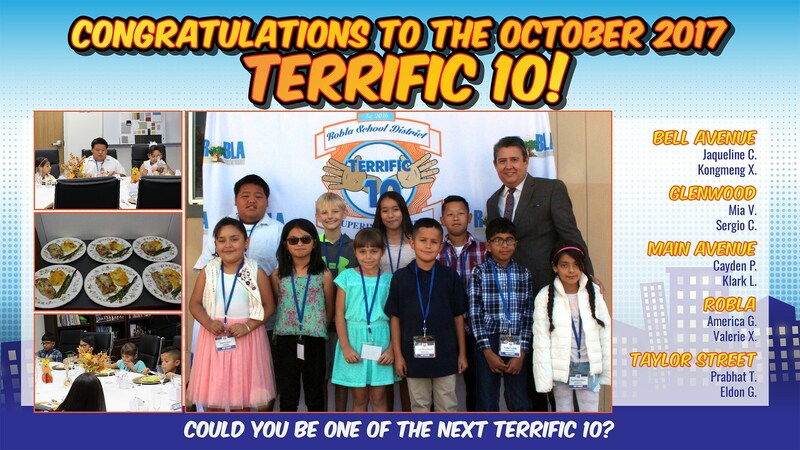 These ten students are the Terrific Ten!